While the recipe is easy it does require some preparation. 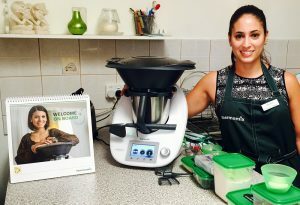 One of Jo Whitton’s tips she shared with us at her Quirky Cooking seminar was to meal plan and make the basics in advance. This is one of recipes where having the basics already on hand will make it a lot easier and quicker. 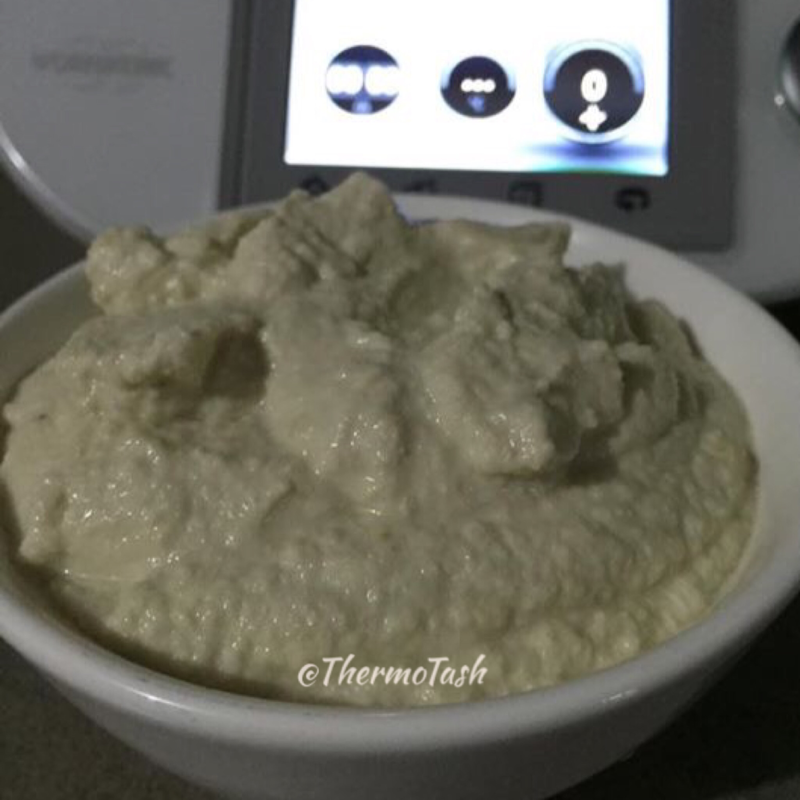 The dairy free sour cream needs to be made in advance and can even be made 3-4 days earlier and stored in the fridge or even frozen if you want to make it well in advance. To make the dairy free sour cream you need soaked nuts and seeds. And while you’re soaking them you can get started on the onion salt. The onion salt has great flavour and can be added to all sorts of recipes (even as a substitute for savoury yeast flakes) so it is definitely worth making in advance to use when required. All ingredients (except the Himalayan salt and dulse flakes) need to be chopped and then dehydrated for 6 hours. 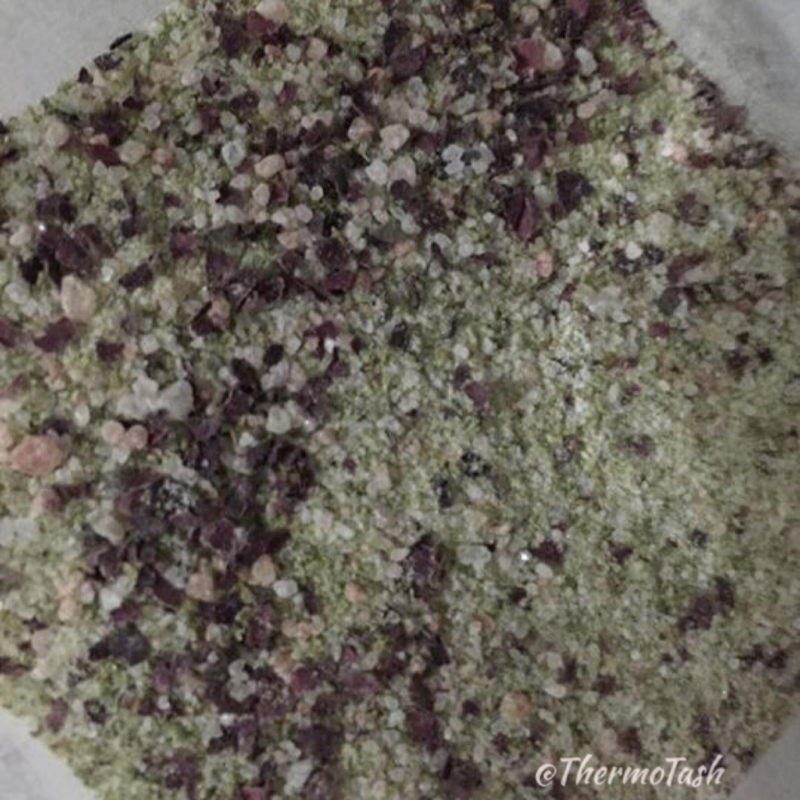 Then the dehydrated ingredients are milled and the salt and dulse flakes are mixed in. This mix needs to be allowed to cool completely before using. And that’s the hard part done. If you had made these well in advance then you can just jump straight into making the recipe. If not, you just needed to plan and prepare the day before and then you can get started. So don’t get put off when you first see this recipe. It is definitely worth it and if you are dairy free then you finally get to have beef stroganoff again. 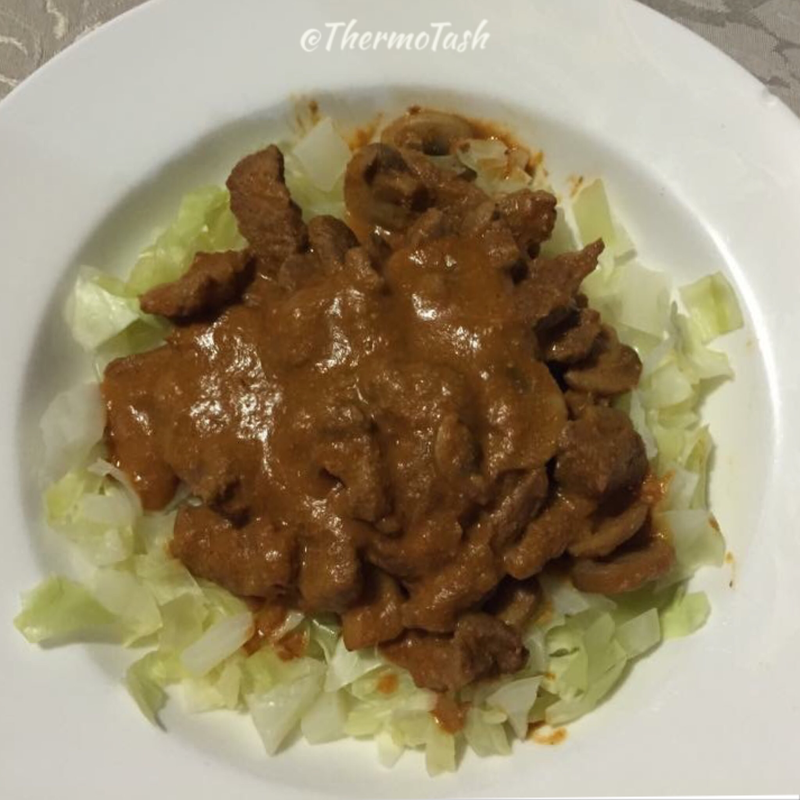 Serving the beef strog on thin strips of cabbage is great if you are grain free or just cutting down on your carbs. If not, then feel free to serve with potatoes or fettuccine.